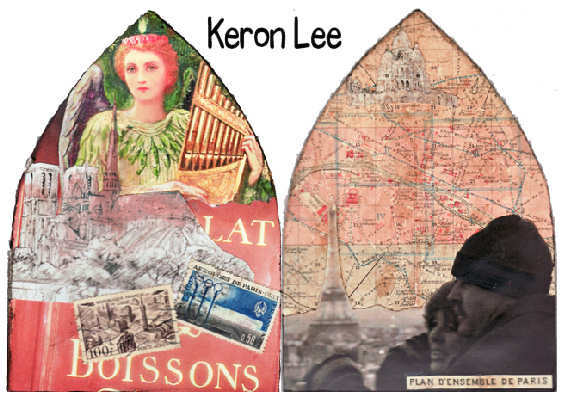 The theme for this week’s challenge is: “We’ll Always Have Paris” presented by Keron Lee (aka The Colourguru) from Melbourne, Australia. You cannot visit Paris & remain unmoved. No book can describe it. Each door you go through, every coffee you drink, beckons you, wooing your soul like a secret lover…….then it ensnares your heart like a vine. I must confess, I ignorantly & blissfully lived down under for what I expect to be about half my adult life, before I experienced the ache that comes from leaving it behind. My first trip to Paris was in November 2000; my 40th year. They say life begins at 40, it’s true. The constraints & strivings of youth have evolved into life experiences that, to some extent define you. You are ready to embrace new ideas & romanticize about possibilities the future may hold. You are more deliberate about things & more (in my case, but less in others) willing to take a risk, give something a shot, go out on a limb. I hope you have fun with this theme – you are welcome to interpret it with photos, maps, memoribilia, or commercially available materials. My arch is made up with a combination of all of these things – plus memories & feelings of loss….. You see, this morning I was supposed to be enjoying church in Notre Dame Cathedral in Paris. My trip to Europe (scheduled for April/May) has been postponed due to a knee injury, & I would have arrived there yesterday. On the back is a photo our daughter took of my hubby & I the evening we arrived in Paris for the first time from the top of Arch d’Triomphe, & a map from an old Beaddekkers travel guide. The line drawings on the front (Notre Dame) & the Back (Sacre Coeur) are from a calendar I bought in Paris. Nancy & I cooked up this theme in November last year & I was going to give you a report from an internet café, but alas, not to be this time, so, from my art studio to your special place, lets celebrate a place that invades your soul & possesses you from the moment you arrive. When I hosted the arch last year, I spoke about what everyone was doing with their arches. If you look on my blog later in the week, you will see my revolving book of arches, it’s a lovely treasure.…………what’s everyone else doing with their stash of gorgeous arches??? ?